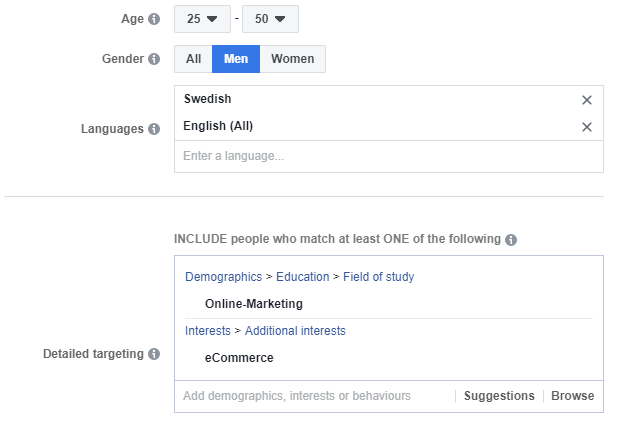 In our previous blogpost in the Facebook Dynamic Ads series, we looked at what Dynamic Ads are, and how you can connect your product feed to Facebook to begin setting them up. In this post we want to take a look at the steps you need to take before you begin successfully implementing your campaigns. This involves outlining some of the options Facebook provides you in segmenting your audiences, planning who you want to reach out to and how you want to reach them. You probably already know that building your audience should be at the forefront of any online advertising campaign. At first, it might be tempting to look for new prospects through your new Facebook Dynamic ads. However, sticking to what you know through reaching out previous buyers makes the most sense, as they know your product and are more likely to convert - at lower costs. You can build your audience initally, then start to expand to new users with the help of Facebook's algorithm. 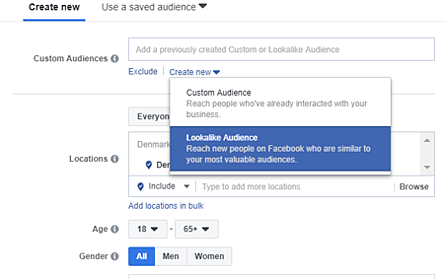 This will use the data from your existing audience to establish similar, potential customers ('Lookalike Audience' - see screenshot above) who are also likely to convert. In the audience section of your dynamic ad you will have several options. This is where you can decide to show which selected product set to display to certain audiences who have interacted with specific products of yours in a period of time (e.g. the last 5 days). Show them products similar to their previous purchase(s) from the same or a different product set. By setting up this first custom audience of past purchasers who have already bought your products, you know they are a valuable audience. The most common way to create a Custom Audience is to use “Website Traffic” as a data source (screenshot below). In the drop-down menu provided, you can then select the pixel event “Purchase” and set a specific time in which the specific event took place (e.g. website traffic in the past 50 days). Specific website page(s) where the event has taken place. – The value of the purchase in question - here you can select maximum, minimum, or average value. – The number of items that audience member purchased in order to be included. The device used to perform the event action (computer, tablet mobile). 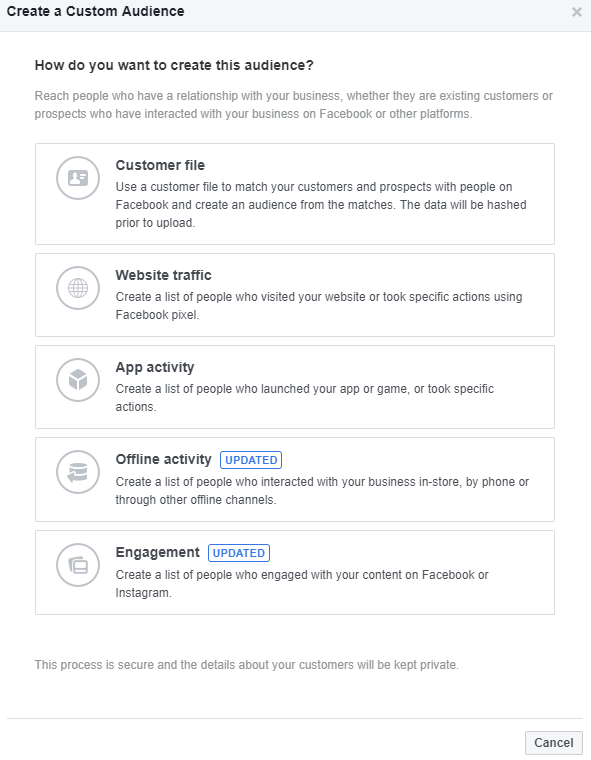 Facebook’s standard demographic, interest, and behavior targeting options (screenshot below). Look for insights in your analytics data for your customers in order to establish which demographics, interests and behaviors to use. If customers were about to buy specific products before they left your funnel you can target them with specific reminders. Use options like 'Viewed' or 'Added to cart' to remind them of this through your Dynamic Ads. Target people who have viewed products from a specific product category with products from another set. This helps to build you upselling capabilities by directing them to products with higher profit margins for your business. Excluding specific audiences is important to make sure that your Dynamic ad is relevant and only reaching the people you want it to. As stated above, customers who have already made purchases from your brand are valuable, but they shouldn't see products which they have already purchased. You can therefore exclude them from specific ads via the Facebook Ads Manager (screenshot below). Similarly, you don't want your separate ad campaigns to compete against each other for the same user. If you have audience members who overlap within several Custom Audiences, ensure you are only displaying the ad to one of these groups. Failing to exclude certain audiences means you raise your costs by competing with yourself. Plus, those who have seen your ad too often won't appreciate an overload of targeted ads from your business. If you want to find out more about your selling options on Facebook, talk to one of our dedicated team today who can give you tailored recommendations for your business and help you get started.